With the results of 2016 election still reverberating through the nation, we understand the many concerns being voiced about the potential impact of the Trump-Pence administration on the lesbian, gay, bisexual, transgender, & queer (LGBTQ+) community. Spencer Pride is committed to continuing our educational work & services in order to make our rural community & state a more welcoming place for all people. Our educational efforts are essential regardless of who would have won the election, although we do anticipate an increased need for our services as a result of the specific outcome this year. The Trump-Pence ticket was very vocal in its plans to roll back the civil rights of LGBTQ+ people. As Hoosiers, we certainly know how Mike Pence (our Governor & now VP-elect) wants to approach LGBTQ+ civil rights. As governor of Indiana, he is probably most well-known for signing the Religious Freedom Restoration Act (RFRA). RFRA allows for businesses to discriminate against gay & lesbian people. Spencer Pride has been outspoken in our opposition of RFRA or in any legislation that takes away the freedom of our fellow Hoosiers. Spencer Pride will continue to engage with our community & educate citizens about LGBTQ+ people & issues. We know that through one-on-one discussions & broader educational activities, we improve the climate for LGBTQ+ individuals. We have done this for the past 10 years with great success. In addition to educating others about the LGBTQ+ community, we also provide support services directly to members of the LGBTQ+ community. Individuals who need our assistance or support can contact us by visiting the Spencer Pride commUnity center (located at 46 E. Market Street in downtown Spencer, Indiana), calling 812-652-5000, or e-mailing us at info@SpencerPride.org. Our commUnity center is a certified Safe Place & an LGBTQ+ Safe Zone. Our volunteers at the center are trained to assist individuals in need. Finally, Spencer Pride is also working to bring greater protections to lesbian, gay, bisexual, transgender, & queer people by working to enact a local human rights ordinance (HRO). This ordinance is a key part of our 5 year strategic plan, & we will be increasing our focus on this initiative in the coming months & years. Other information about our efforts to make Indiana a more welcoming place for ALL people can be found on our website at www.SpencerPride.org. We sincerely hope that President-elect Trump and Vice President-elect Pence are able to evolve from their previous discriminatory positions about the LGBTQ+ community. We encourage their administration to continue ensuring that America is an inclusive & welcoming country. 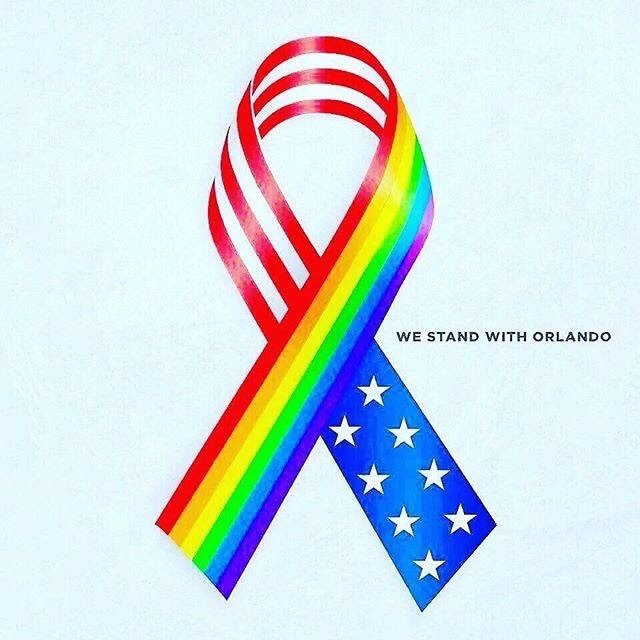 Last night, in what is now the deadliest mass shooting in United States’ history, at least 50 people were killed & another 53 injured in an Orlando gay night club. Throughout the world, LGBTQI people & their allies celebrate June as Pride Month. It is a time to reflect on how far society has come towards accepting gay, lesbian, & transgender people – but even more importantly – an opportunity for each one of us to take a moment to be proud of who we are. We were born this way & we need to take the time to celebrate that fact without any shame. Pride Month is also a time to consider how much farther we still have to go in educating the public about LGBTQI people. Please take a moment today to think of those who were lost last night & for the families they left behind. Then, consider what you can do to help enlighten others about LGBTQI civil rights. Perhaps, you could stand up for a student you’ve seen picked on at school. Maybe, you could write a letter or make a phone call to an elected official about important legislation that affects the LGBTQI community at large. Or, simply give your son or daughter a big hug and tell them how proud you are of who they have become. We are confident that the massacre in Orlando won’t send us back into our closets in fear; rather, it will rally & unify our community to continue our efforts for full LGBTQI equality. We hope that you’ll join us. Throughout the life of a healthy organization, there are moments when it must decide whether to stay on the well-worn path or to venture into uncharted territory. In the past 10 years, Spencer Pride, Inc. has never been afraid to take risks to further our efforts. In fact, our volunteers have always jumped at the opportunity to do more for our community. Our risks have paid off. We learn from our mistakes, & we have found that by pushing our own boundaries we actually find that our capabilities actually far exceeded our initial expectations. In 2007, the very first Spencer Pride event was a free picnic in Cooper Commons Park coordinated by the local Parents, Family & Friends of Lesbians and Gays (PFLAG) group. A year later, mother nature presented an opportunity for the event to be more than just a picnic by the river; rather, our picnic was transplanted to the center of town and onto the lawn of the county courthouse where it could flourish. That change meant a lot more responsibility & visibility for our event. We rose to the occasion, & just 8 short years later the Spencer Pride Festival has become the second largest event in downtown Spencer. In 2016, more than 100 booths participated in our festival marketplace, & our sponsors consisted of some of the largest employers in the area, including Cook Group & Boston Scientific Corporation. Within a few years of our festival’s move to the courthouse, Spencer Pride, Inc. began celebrating LGBT history month in October with film screenings & community dialogues about issues relevant to rural lesbian, gay, bisexual, & transgender people. Each year we focused on new topics that would stir discussion & education within the local community. In 2013, those film screenings blossomed into “A Night at the Tivoli,” what has become one of the largest LGBT history month events in south central Indiana. While our film event grew, so did other educational activities such as our educational library displays. In our first year those displays were featured in 7 local libraries. Now, more than 25 local libraries & schools in 8 counties display our LGBT history creations. These achievements didn’t happen by accident. Our hard-working volunteers – with the help of our sponsors & other supporters – made them happen. In addition to our annual events, we also provide a variety of services to the community. Diversity education panels are one of those services. This panel, consisting of members of the LGBTQI community & their families & friends, educates groups on topics pertinent to the LGBTQI community. One of the more popular uses of this panel is for employee diversity awareness training. Multiple area Walmart locations have hosted these panels. We’ve also participated in panels at Indiana University in response to bullying on campus. We offer these panels as a free service. There are many more examples that I could give about how we have demonstrated a willingness to take big steps & to show how those steps have resulted in huge successes for our organization & its mission. As we celebrate our 10th anniversary, our organization took a look at what we have become & what we would like to be over the next decade. First & foremost we want to continue the events & activities for which we have become known. Second, we are ready to once again step onto the less-worn path by embarking on a new adventure: a permanent year-round presence in downtown Spencer. What does this mean? It means that Spencer Pride, Inc. will be operating a community center in downtown Spencer where we will offer our educational services, provide space for other not-for-profits to further their own mission, & provide a new service to the community by becoming a certified “Safe Place.” The “Safe Place” designation is intended to represent places where struggling youth can go & seek help. Our volunteers will be able to refer youth in need to a variety of local services available to them. In addition to the aforementioned activities, the community center will also sell some items in order to bring in donations that further our overall mission to educate the community about rural LGBTQI people and issues. The community center will continue to be 100% volunteer run, as are all of our activities. Our building is located at 46 E. Market Street in Spencer, on the courthouse square. It is an ideal location for our organization due to both its visibility in the community as well as its proximity to both of our main annual events. We signed a long-term lease at a substantial discount from market rental rates. 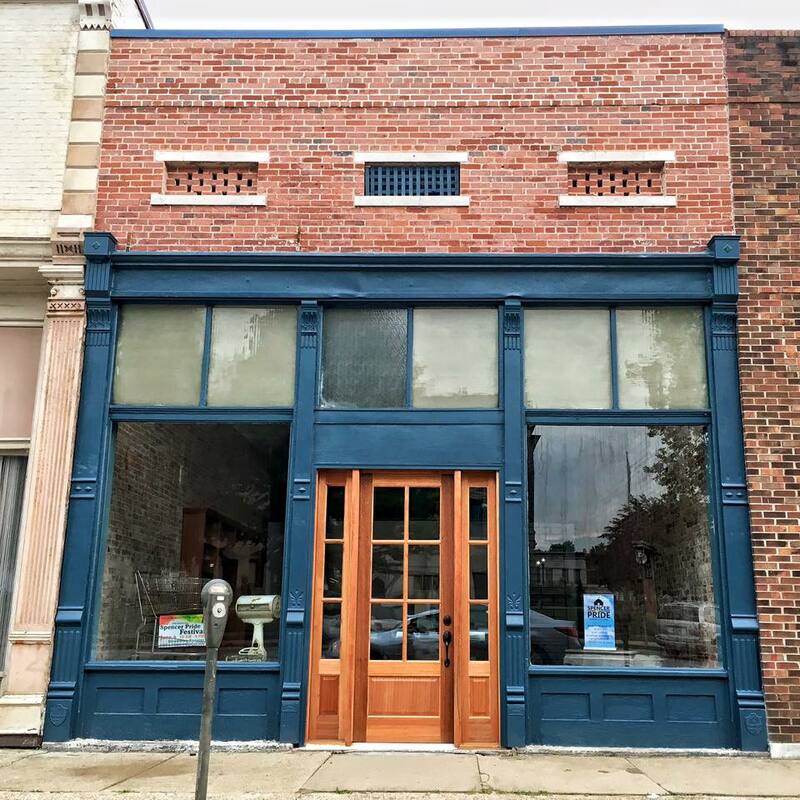 The landlord is a strong supporter of Spencer Pride, Inc. & has made a significant financial commitment to restore our building & bring it to modern standards. This will occur in two phases. The first phase is already complete. The landlord executed a substantial renovation of the front of the building so that Spencer Pride could take possession of it. This included a new roof, updated electrical wiring, demolition & reconstruction of interior walls, & several other key activities to make the space usable for us. The second phase will include a full restoration ‘from street to alley.’ Updated heating, installation of air conditioning, flooring, & a bathroom are some of the items that will be included with phase two, which is expected to be in process over the next 6-18 months. Because of the two-phased approach with the renovation, our usage of the space will also evolve. Initially we will be working within a smaller footprint. We will be able to certify it as a “Safe Place,” utilize it for our meetings, & have some retail space (100% of all profits would work to further our educational pursuits). Once the second phase has been completed, we will expand to the entire building. This will greatly increase our ability to hold educational events & to allow other not-for-profits to share the space. We have additional ideas for how to use the building that our Board of Directors & volunteers are still considering. Over the next several months, we will be sharing updates on our progress in getting the community center ready for its September Grand Opening. We are also seeking sponsors who can help us to achieve our goals for the community center. Sponsorship money will be used for training programs for our volunteers (in order to support our effort to designate the center as a “Safe Place”); purchase furniture, technology, & supplies to make the space functional for meetings & other educational events; overhead; & to acquire other items deemed necessary by the board to meet our objectives for the new building. If you wish to become a community center sponsor, please contact me. You can reach me via e-mail at Jonathan@SpencerPride.org or via telephone at 812-821-3073. If you wish, I can also meet you at our Market Street building to show you the space & walk you through the opportunities that you can help make a reality. Thank you for supporting us as we begin this new and exciting adventure for Spencer Pride. This past week, the Spencer Pride Inc. Board of Directors issued a letter to several local and prominent legislators in the Indiana General Assembly. The letter was also issued to Governor Mike Pence. In the letter, the Board expressed their thoughts on the pending LGBT legislation in the Indiana General Assembly. An example of one of the letters (the one written to local Senator Eric Bassler) is shown below. Volunteers of Spencer Pride will be a the statehouse rally on Wednesday, January 27th. On behalf of Spencer Pride, Inc., we wish to express our support for efforts to add ‘sexual orientation, gender identity” to the state’s nondiscrimination law. We believe that this will guarantee that all people in our state are treated fairly and with respect. This is a simple solution that will address a big problem for Hoosiers that identify as lesbian, gay, bisexual, and transgender. Right now in most places in Indiana you can be fired from your job, kicked out of your house, or denied service because of who you are and whom you love. The passage of the so-called Religious Freedom Restoration Act in 2015 made the situation even worse than it had been before. While many communities and states throughout the country are working diligently to be more inclusive of LGBT people, Indiana legislators instead chose to take a more regressive path. RFRA is detrimental to the reputation of Hoosier people and Hoosier businesses. Although the consequences of that legislation will continue to reverberate for years to come, adding protections for gay, lesbian, bisexual, and transgender Hoosiers will do much to limit further damages. State code already contains non-discrimination protections based on race, gender, veteran status and religion. We do not believe that adding protections for the LGBT community in any way infringes upon those existing rights. We believe that eliminating RFRA and adding protections for LGB & T citizens are essential in order to ensure that Indiana competes in the national and global marketplace. Support legislation that adds protections for the lesbian, gay, bisexual, AND transgender community. The best approach is to add ‘sexual orientation, gender identity’ to the states nondiscrimination law. Senate Bill 2 does this, and we support this approach. Senate Bill 344 is an attempt to add protections for some Hoosiers, but it does not include transgender people. Therefore, we do not support it. Reject proposals that limit the ability of local governments to make their own decisions about adopting even more inclusive civil rights protections. Senate Bill100 would override existing municipal civil rights protections. We do not agree with this. Senate Bill 66 would allow businesses and individuals to ignore existing local LGBT anti-discrimination statutes. This would do nothing to protection LGBT people, but rather, it works to harm them further. Thank you for consideration of this important issue.